Want to buy Levis 541 Jeans but can't get them shipped to your country? There is no doubt that Levis 541 Jeans have a loyal following. 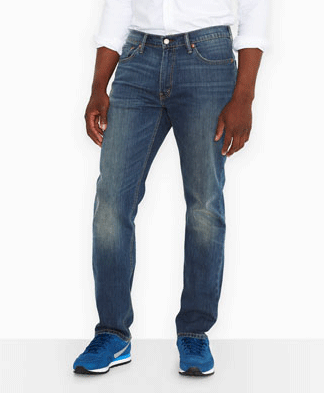 Slightly tapered, but roomy at the thighs, many athletes, bodybuilders and gym junkies swear by Levis 541's. 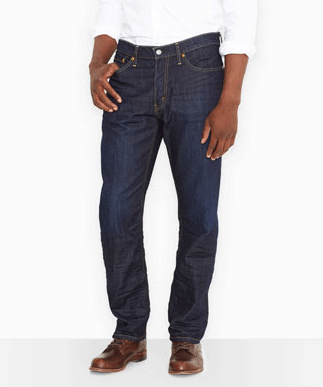 Unfortunately, Levis 541 Jeans are only available for purchase in America at the moment. The US Levis store doesn't ship internationally so you won't be able to purchase the jeans yourself if you live outside of the US. Big Apple Buddy, your personal shopper, however can help you buy your Levis 541 jeans direct from the official Levis US online store and ship them to you in Australia, the United Kingdom, New Zealand, Spain, France, Germany, the United Arab Emirates, Hong Kong, Singapore, Saudi Arabia, Mexico, Brazil, Switzerland, Norway, Denmark, Finland, Indonesia, Thailand, Sweden, Belgium, the Netherlands or anywhere else in the world! If you're interested in buying Levis 541 Jeans from the US, simply tell us which colours you're after (e.g. Rigid Dragon, Blue Canyon, Midnight, Jet, Lake Merrit, Burnished Black, Sequoia, The Rich) by filling out the form on the right. We'll get back to you with a free shipping quote within 24 hours!